The New Jersey Supreme Court recently reversed its position on coverage for construction defects, affirming the Appellate Division’s decision that consequential damages caused by a subcontractor’s faulty workmanship constituted “property damage” caused by an “occurrence” under the plain language of the developer’s Commercial General Liability (CGL) policy. This decision has practical and legal significance for the Real Estate & Development industry in New Jersey, as to how future policies will be written. Historically, the courts held that consequential damages from faulty workmanship were not considered property damage or an occurrence, as defined in the CGL policy. As with any legislative reversal, there is a specific case that is referenced and in this instance, it’s Cypress Pointe Condominium Association, Inc. v. Adria Towers, LLC, 2016. In this case, a condo association brought claims against the developer (Adria Towers, LLC) and various subcontractors, due to water damage water from rain flowing into the interior of the property — which Cypress Pointe attributed to the subcontractor’s faulty workmanship. The Cypress Pointe decision follows a recent trend in other jurisdictions which have affirmed that consequential damages from a subcontractor’s defective work is covered by a CGL policy. Due to the rapidly rising costs of construction defect claims, insurers have developed strategies to avoid being held liable for payment. Insurers that write this class of business will most likely impose endorsements to restrict or eliminate this type of coverage. 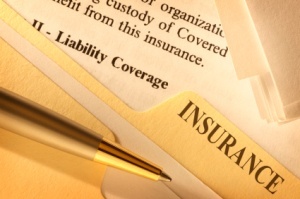 When negotiating your policies, be cognizant of language that could show up on your proposal that might significantly impact your coverage. Click here to request more information about The ALS Group or for help with developing a risk mitigation strategy and improving your General Liability coverage.